Commenting has become extremely popular since the rise of social media. It would seem that everyone building a modern web application wants to add some kind of a commenting feature for users to discuss about the topic at hand. Even so, we found it incredibly hard to find a suitable plugin when we wanted to implement this feature to our own web application. 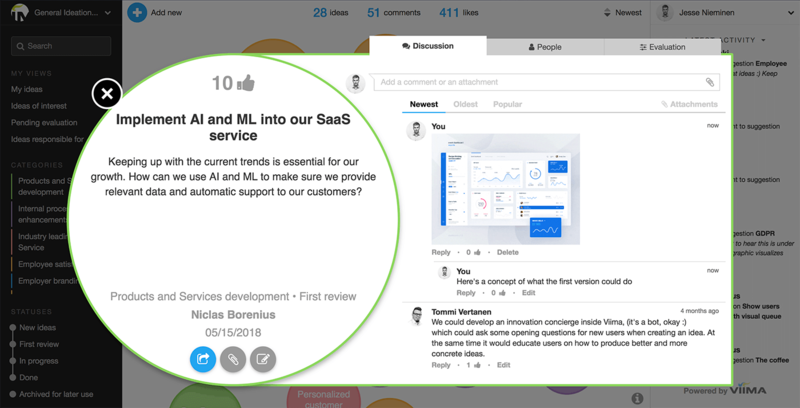 Naturally there are a number of SaaS solutions, such as Disqus, out there but those are not really suitable if you want to keep full control over the data like we did. In this post, we'll introduce j-query comments. Modify existing or build from scratch? Even so, we decided to choose the least crappy one and just implement the necessary changes on top of the plugin afterwards as we didn't want to reinvent the wheel. However, there were quite a few things that required changing. For example, the plugin assumed the properties to be named in a certain way, and as such, all of the variables needed to be changed in the code to match the field names from our backend. So after all these changes, what if we found out that there was a critical bug in the plugin and we'd have to update it? After struggling with the modified code for a while, we came to the conclusion that the code was no longer worth maintaining and refactoring but should instead be rewritten from scratch. As it had been a year and a half since we started development, we naturally checked to see if someone would've come up with a better library for the job but as that wasn't the case, we made the decision to build one ourselves. 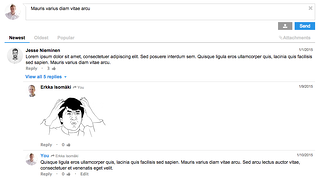 You can find the demo and documentation from the jquery-comments project page and the source code from GitHub. Please check them out and tell us what you think! 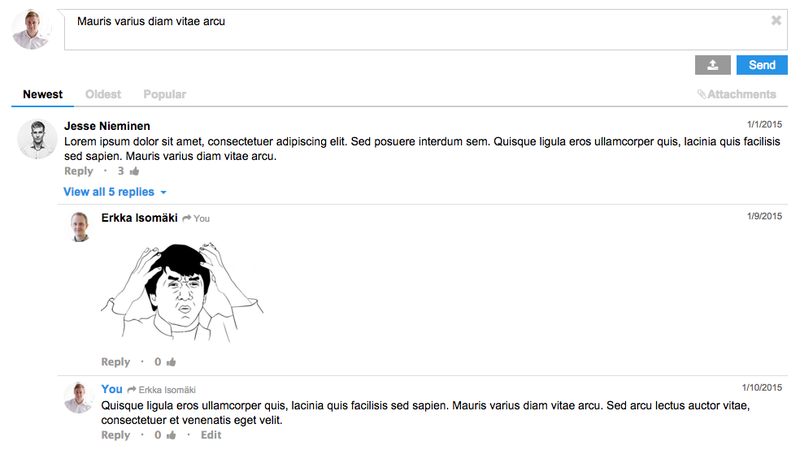 Any feedback you might have is more than welcome, we're always looking to make jquery-comments even better! EDIT: Added new features to the listing above.